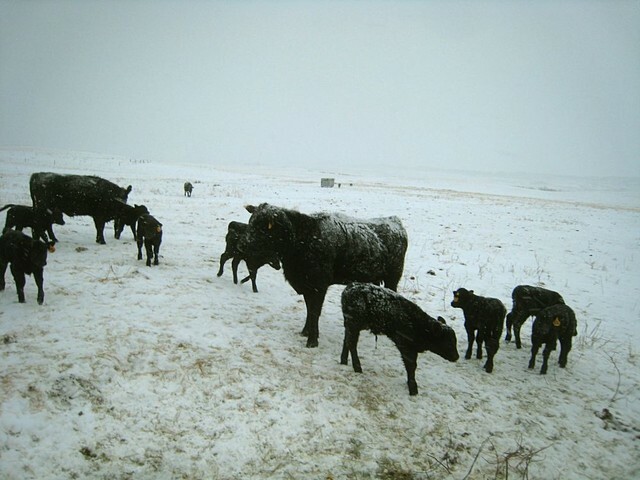 The newborn calves not liking the wind and snow bothering them. We sure have been getting a lot of wind lately. Taken 2/18/2008. Sam, This look remarkably like my backyard yesterday afternoon. 45 to 50 mph winds,light snow coming in sideways just covering the yard, and we had 6 deer just standing at our tree line just covered with snow. Global Warming, really I can't wait, bring it on. Golf 12 months of the year! My Darling Wife's newest addition to the menagerie around here. Not quite 8 weeks old and hand fed for his whole life. Mama got killed by a coyote. Rowdy is his name. Believe me, it's apt. Taken 11/12/2007.